Thoughts From The SSL Family Dad - What's This Place All About? New subscriber? Been around for awhile? What is this channel all about and why do we do what we do? These are a few of the questions that I hope to answer in this video. A few years ago my wife and I decided to move into this small subdivision in small town America. Having both come from country roots it was a bit of a compromise for us to be in a community type setting. As we settled in those country roots began to take hold of our small suburban homestead. We started thinking more about what we ate, how we got our food, how to save money and live a more simple life. We decided to have the SSLFamilyMom at home full time working on raising and caring for our family of five. 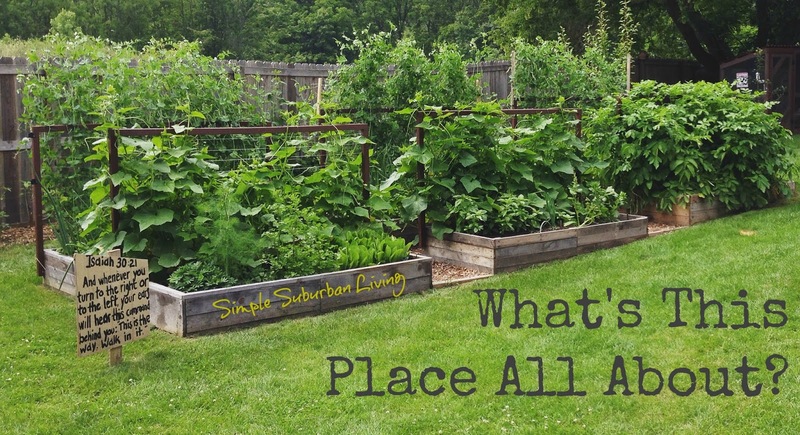 Many decisions began being made that slowly turned this city lot into a small backyard farm. During this transition we needed lots of information, repairs, cooking, gardening, aquaponics, chickens, and anything else you can think of. We started reading blogs, researching we articles and how-to's, and watching a whole lot of others on YouTube. We learned so much and used so many ideas of others. It was time for us to start giving back, it was time for us to share our lifestyle and our ideas with others. This was the beginning of the sslfamily blog and YouTube channels. We are a family of five, often going in many different directions at once. Cooking, knitting, auto repairs, wildlife, hiking, aquaponics, chickens, DIY projects, home improvement, recipes, bible crafts, science experiments, inventions, sustainable projects, computer repair, and the list goes on and on. We decided on three YouTube channels to spotlight the kids, my wife, and my own projects individually and one blog to tie it all together. We have been blown away over the past year at the response we have gotten, the lives that have been touched and the stories and projects that have been shared back with us. Our family has been truly blessed over the last year and much of it in part to those of you watching or reading this now. So if you are a new subscriber what can you expect here? Well, just about anything! I try to release at least 1-2 videos per week on relevant topics ranging from home and auto repairs to gardening and sustainable living projects. Product reviews come around from time to time if I have a product that I feel would be good for that kind of thing. I always review honestly and never with a product that I have not used. I focus on aquaponics videos throughout much of the winter and to the outdoor garden in the summer. I also release computer repair and technology tutorials whenever they present themselves around the home as this is my profession. I always provide an honest outcome if I am trying something new and share the experiences I have had and what has worked for me or share what I have learned from others. Oh, and you may see a few bible verses shared on my channel, this is something that is important to us and our faith in Jesus is interwoven into everything we do here on our little homestead. What not to expect? One thing you will not see here is us asking for money from you. We are not here to profit from you or ask for donations of any kind. It is always a turn off for me when I watch a YouTube channel or subscribe to someone's blog to see them asking for money and that is not something I am interested in doing here. We also do not do unboxing videos. I will go ahead and open my own boxes off camera! I have not done anything in the way of Vlogging and do not really plan to do anything under this title (I hate the word myself). I may however, offer an opinion on a video or article if I feel it is relevant or feel the need to share with you. How can you support us? This is a simple answer, do what you are already doing. The best way to support the SSL Family is to follow along with us and share your stories, your pictures and your feedback with us. We couldn't do this without you! Thank you for following along, have a good one! What about the bee hive? What is happening with that? I'm really curious to know how that works. Thanks for all the info on so many things,. I've shared much of it. Great stuff. ah yes.....the Top Bar Bee Hive project. Well, time has gotten away from me this summer and I have not completed that yet. I just purchased the needed supplies and should be able to work on it this weekend and next week.